1. Did you know that we have the cutest personalized mini totes? Perfect for your wedding party! 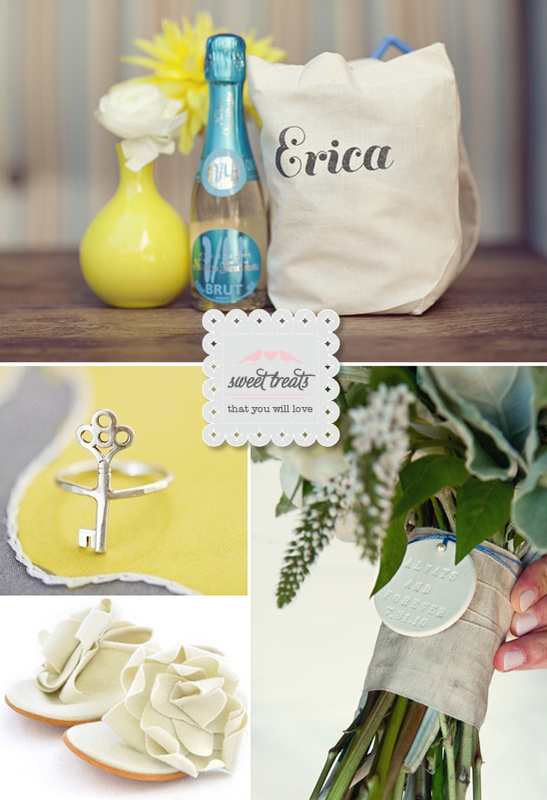 Print your wedding location, personalize them with a name, or simply print them as welcome bags in your wedding colors. Options are unlimited. 2. You have the key to my heart! A fantastic vintage-style key on a delicate band to remind you who has the key to your heart from Annekiels over at Etsy. 3. Stay tuned for a fantastic wedding from Boutwell Studio. 4. Last but not least, we wanted to share with you that we will be adding a new baby chick to our family. Jocey is expecting her second baby this February!